My thanks to Executive Pens Direct for sending me a bottle of Robert Oster Plumb Nut for review. Plumb Nut is a surprising colour. On the bottle cap where there is a small swatch, it looked purple-grey. When I filled it in my Parker Urban, it was a dark wine red, maybe brown with hints of red. 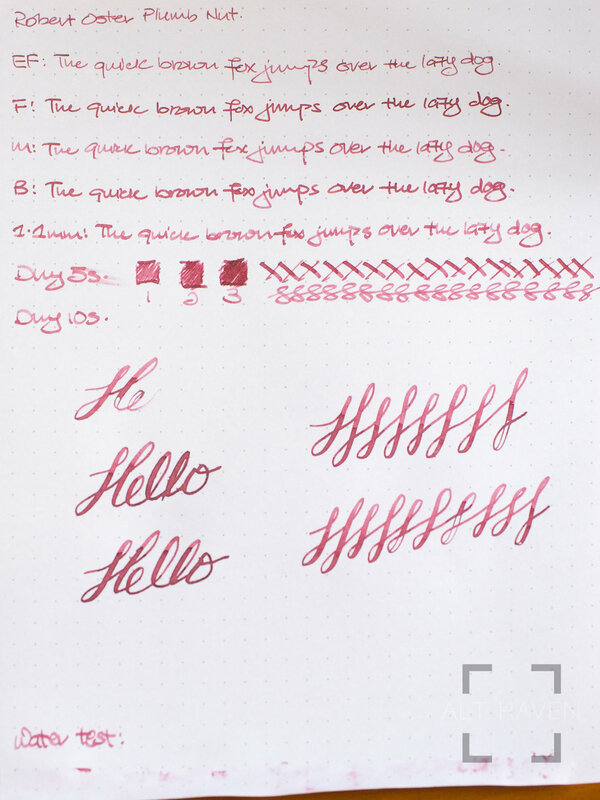 Now in my TWSBI Mini 1.1mm Stub nib it looks pink, it shades very well. But depending on the pen you use, you will get very kind of result. Robert Oster Plumb Nut is one interesting colour.